Do the names Datura and Brugmansia represent the same plant? No – but these two genera are in the same plant family (Solanaceae), and up until 1973, all Brugmansia species were included in the Datura genus. The common name “angel’s trumpet” is often used interchangeably for both genera. 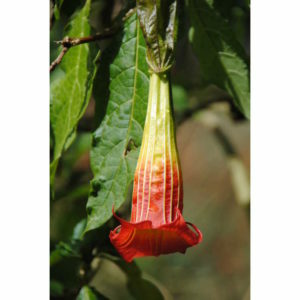 In addition, both Datura and Brugmansia are notorious for their poisonous qualities. So there’s plenty of room for confusion. Perennials expert Allan Armitage provides three particularly useful criteria for separating the two genera. In general, Brugmansia flowers will be pendulous, as compared with the upright orientation of Datura flowers. Brugmansia flowers will tend towards white, yellow or peach; Datura flowers are usually white, or white and purple. Finally, Brugmansia fruit are smooth and not dehiscent (do not split open). Datura fruit are prickly and dehiscent. Both genera produce beautiful, fragrant flowers. However, the fragrance can actually create problems by drawing people a bit to close for too long. It is known, for example, that sleeping near open Datura flowers can result in headache, nausea, dizziness, and weakness. 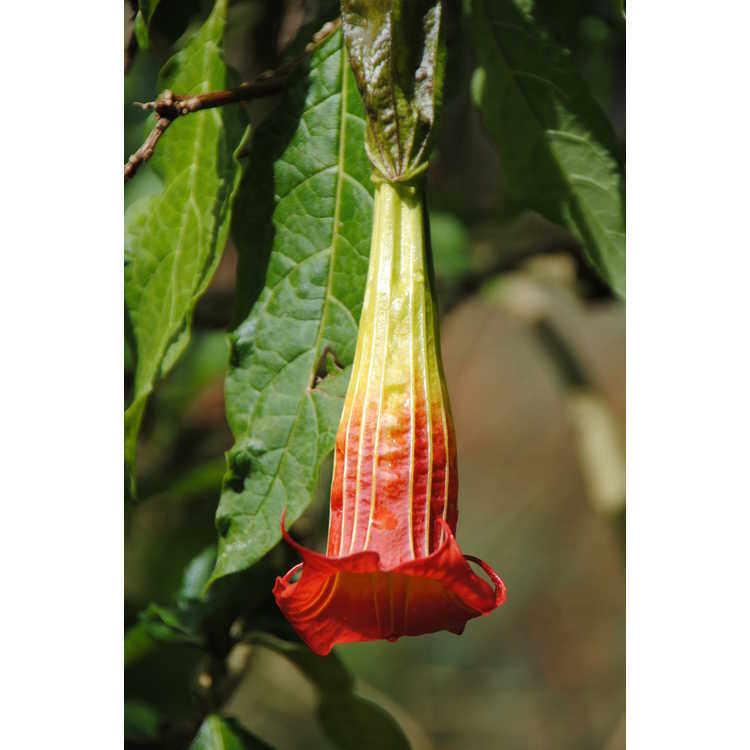 Similarly, in a recent article in the magazine Homestead, Kathy Howard of Cornell University related an incident in which a couple picked up a Brugmansia and brought it home inside their vehicle. The half-hour drive home was long enough for the “toxic fumes” of the sweet-smelling flowers to make the gardeners “really sick”. Maybe transporting the Brugmansia in the trunk, or at least leaving the windows open, would have been a safer approach. 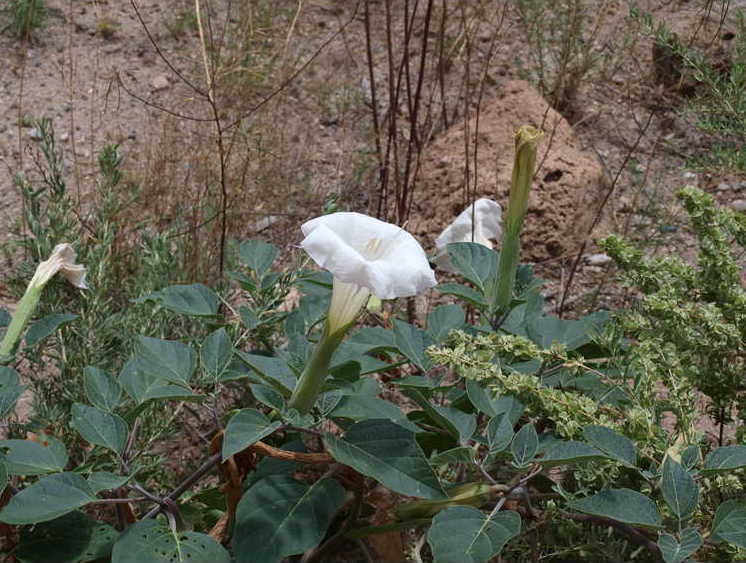 Datura and Brugmansia have wonderful ornamental qualities, but we should handle these plants with care and use them in locations where people and pets won’t get too close. • Why Are Plants Blooming Now, After the Storm?